AC1 Sentinel – Hard-use, everyday practicality. 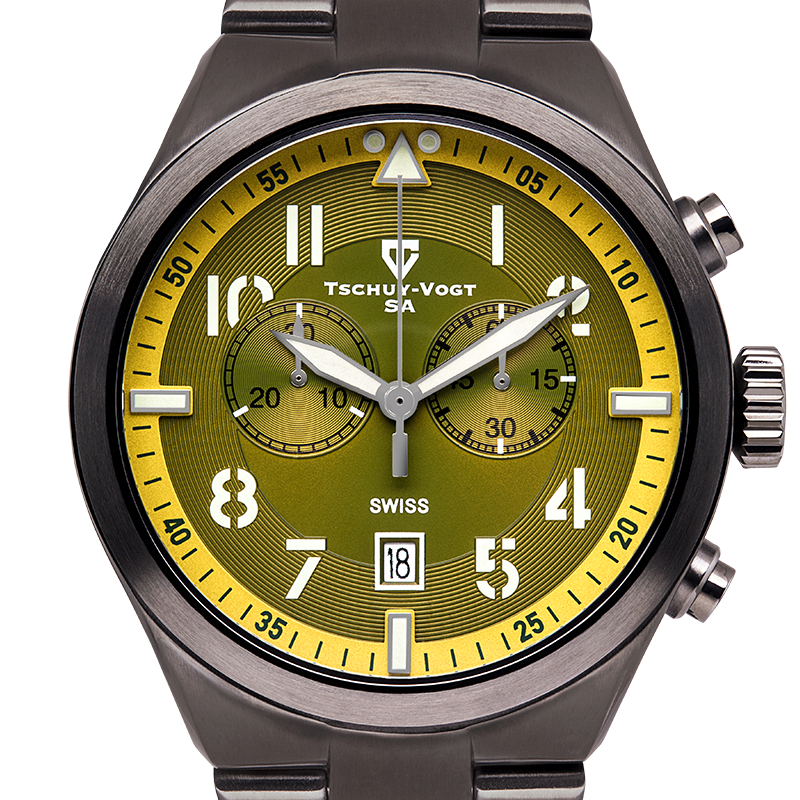 Our first model to be introduced on a bracelet, the A41 Centurion is names for one of the most successful tank designs in the post-WWII era. While too late for WWII deployment (arriving in Belgium roughly 30 days after WWII ended), the British Centurion went on to fight battles in the Korean War, Indo-Pakistani War of 1965 and served with the Royal Australian Armoured Corps in Vietnam. 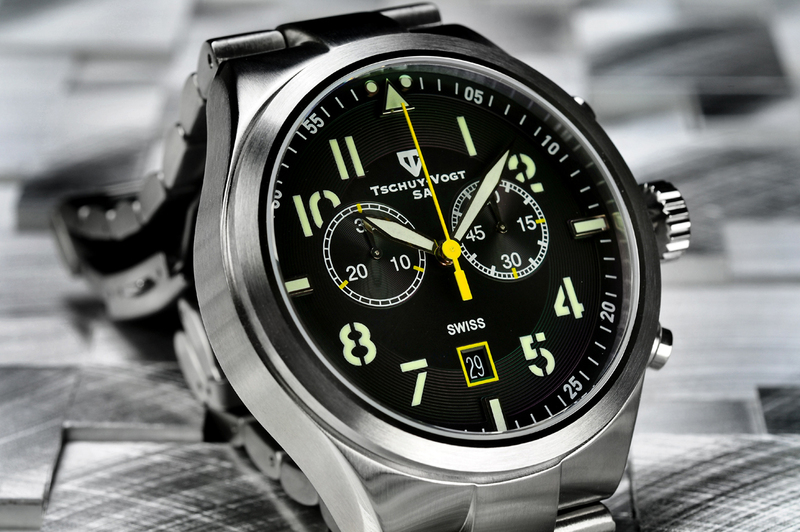 Honoring such a legendary tank, we crafted this watch in solid 316L stainless steel with accompanying steel bracelet for a tough, battle-ready appearance & feel. While the bracelet is a striking design, we tapered it for maximum comfort around the wrist. 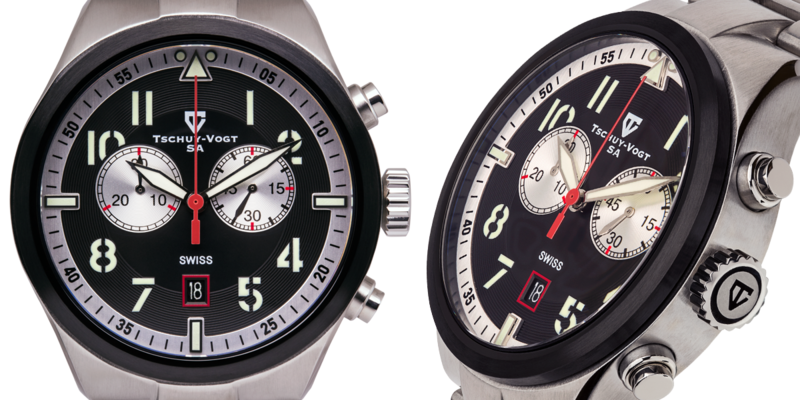 Each dial has a rich satin-sunray texture and is accented by an extreme amount of C3 compound Super-LumiNova for maximum luminescence. 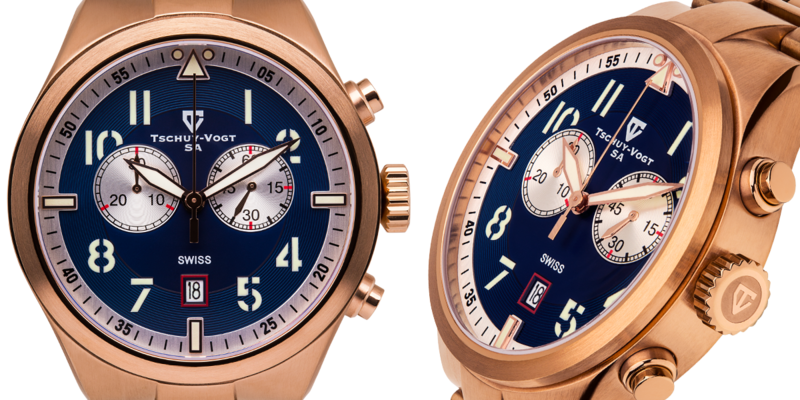 The vintage styled 2-eye chronograph is a Swiss Made Ronda 5021.D movement, and everything is topped off with a massively thick Sapphire crystal with anti-reflective coatings. 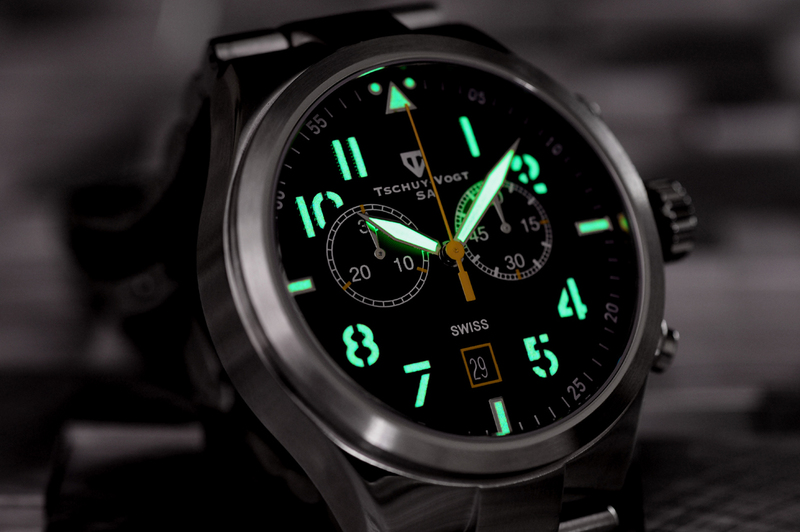 The industry-leading luminescent material manufactured by Luminova AG is the brightest and longest lasting of all lume compounds in the watch industry. 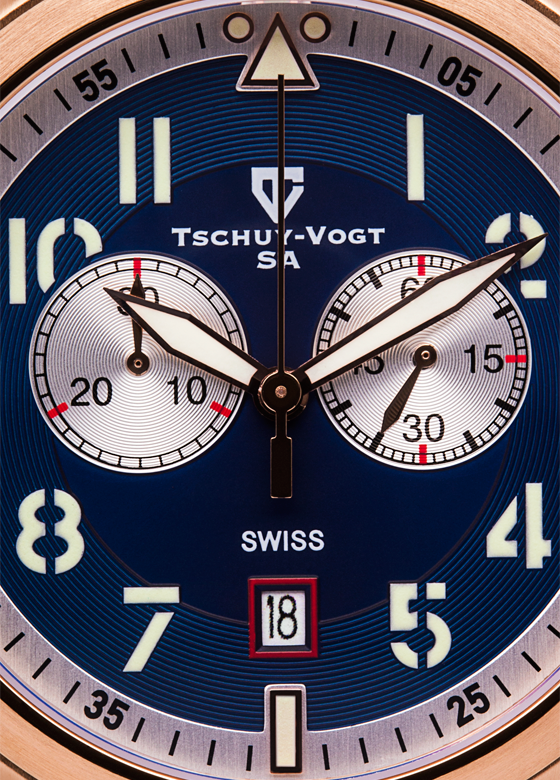 Our use of Super-LumiNova™ assures you that every Tschuy-Vogt watch will illuminate brightly and for long periods of time. 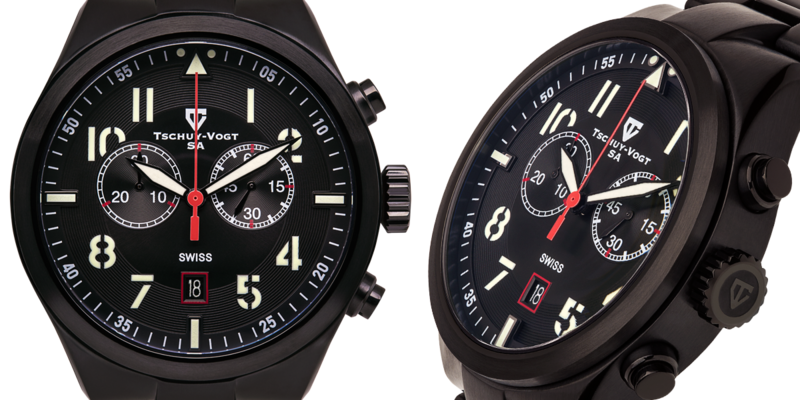 It is the strongest, non-radioactive substance applied to watch hands and dials, and with several colors to choose from, we are able to create unique displays that will excite you every time the lights go down. 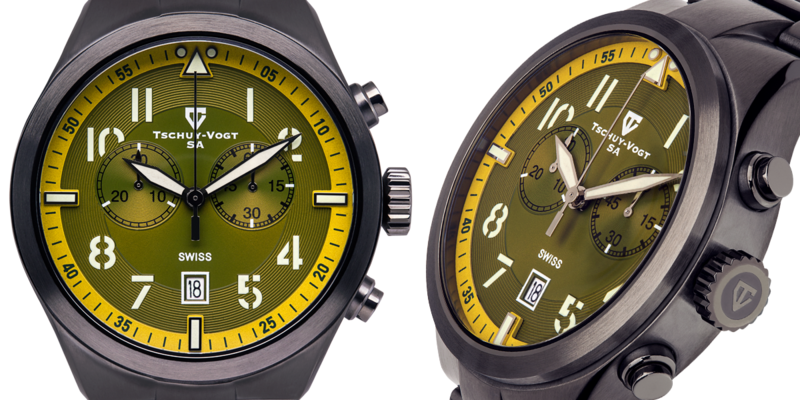 Painstakingly designed vintage styled military watches. 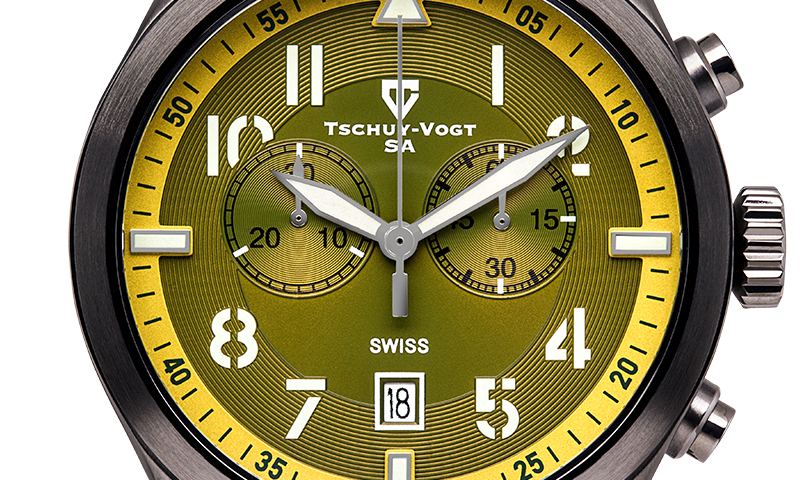 With its passion for innovation and respect for military heritage, Tschuy-Vogt SA strives to establish an international reputation. 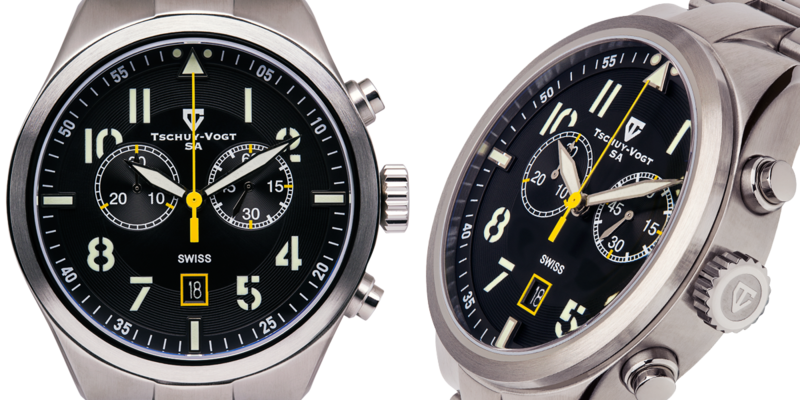 To produce and design timepieces that emulate the feel of watches worn by military forces in Eastern Europe, Russia, Germany, Italy and the USA over the course of history. © Tschuy - Vogt SA. All Rights Reserved.